The Premier of Guateng, South Africa, David Makhura has identified inter African co-operation as the major plank for ‘Africa Rising’ and the economic growth of the continent. 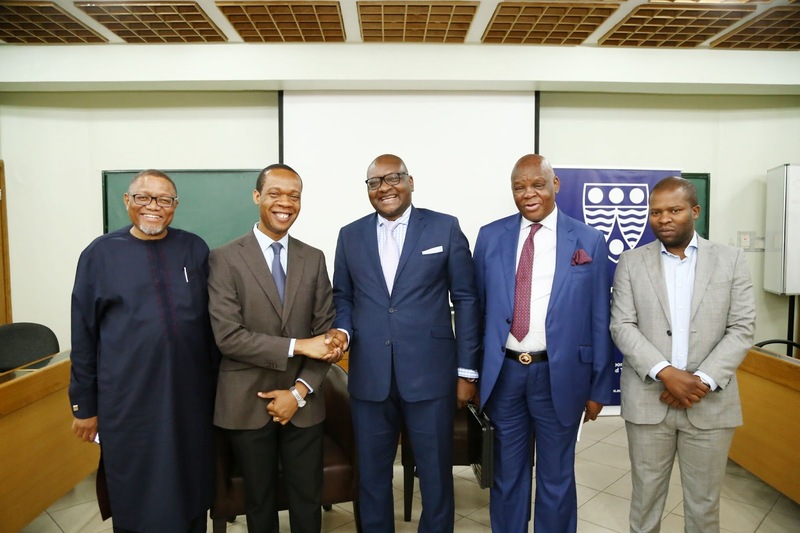 Makhura,who delivered a lecture on his visit to the Lagos Business School (LBS) last Friday, critically examined the narrative of 'Africa Rising'. He maintained that the various factors which determine and shape the ‘Africa Rising’narrative included production and manufacturing of goods by African countries; youth empowerment; strong leadership and governance; active participation; and investment by the middle class in their own countries and other African countries cohesively. "There is no African country that can advance and make progress without working with other African countries" he said. He explained that even though economic growth played a key role in determining how far Africa has risen, it was not the only factor that should be considered in the ‘Africa Rising’. "The Africa Rising narrative misses the point because it does not address the issues we as Africans are concerned about. It is not enough to look only into economic growth to determine the rise of Africa," he affirmed. With regards to youth empowerment, Makhurastressed that it wasnecessity because a common problem in Africa is youth unemployment and there is a dire need for African countries to develop its human resources as the youth are Africa's greatest asset. "Africa is a youthful continent; its youth are its greatest asset. We must continue to invest in our youth as they are drivers of regeneration," he noted. In his welcome address, Dr UchennaUzo, MBA Director, Lagos Business School,stated that the visit was in line with the objective of developing responsible leaders for Africa and the world. He explained that visits such as Makhura’s would further expose the LBS MBA students (future African business leaders) to pan-African perspectives of business, cross border opportunities and connections outside the classroom. The MBA students expressed gratitude to the Premier for the lecture and engaged him in healthy discussions bordering on how the LBS MBA was helping them shape their understanding of the ‘Africa Rising’concept and how they hope to be responsible and effective leaders for the growth that Africa is bound to record.